Watches from the 1950's have a look all their own. 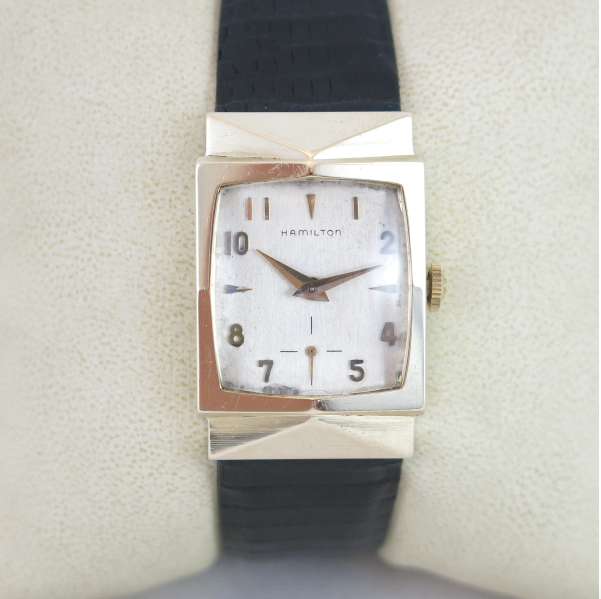 1930's watches often show Art Deco influence with luminous and enamel dials. They are usually large or very narrow and long. 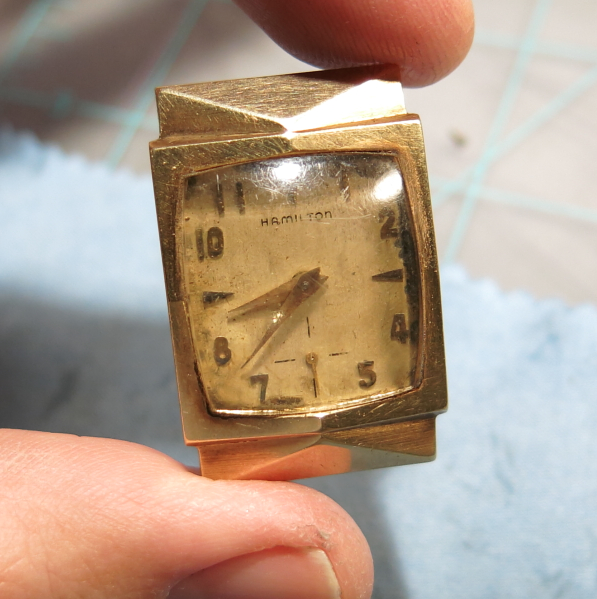 Watches from the 1940's are generally smaller, simpler designs reminiscent of the post war recovery. But the 1950s was a time when Hamilton really started to spread out a little and they introduced a number of bold, futuristic designs. Take for example the 1955 Dorsey. Looking at the angled case, it almost has a "stealth" presence, foretelling the future of military aircraft that would be produced 50 years later! 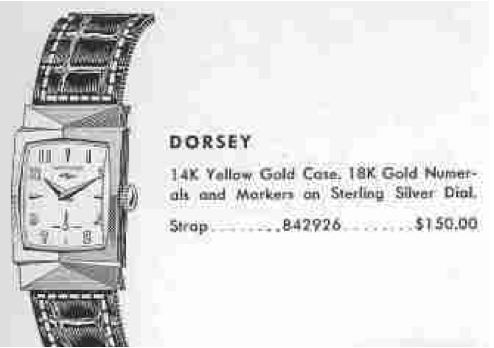 The Dorsey shares a name with another solid gold Hamilton model, the 1936 Dorsey. Other than both being solid 14K gold, the two are otherwise unrelated. 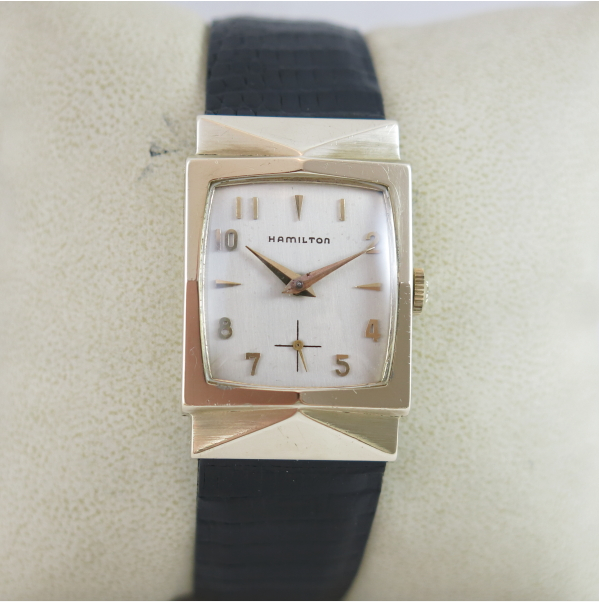 This model was produced for only two years and you can tell a 1955 Dorsey from a 1956 version by the diamond "masterpiece" marker under the Hamilton name on the 1956 Dorsey's dial. The Dorsey features a solid 14K yellow gold case with a sterling silver dial with 18K gold markers. The hands are dauphine style and non luminous. 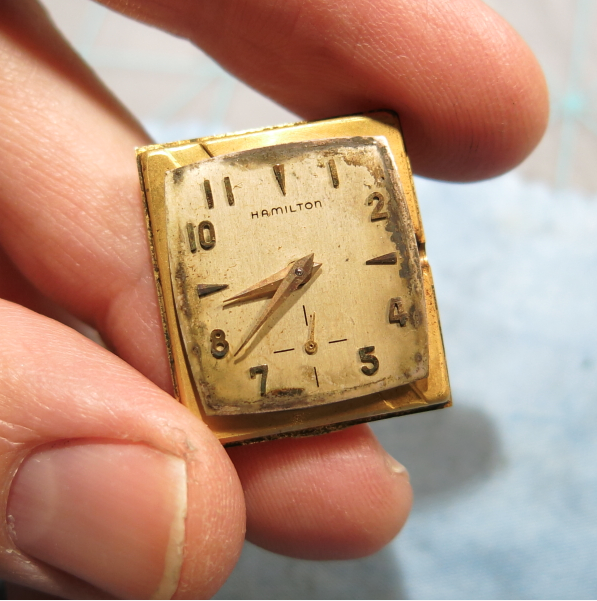 Behind the dial you'll likely find Hamilton's newly introduced 22 jewel 770 movement or possibly a 19 jewel 754 if there were any remaining in inventory. I recently received a 1955 Dorsey in need of some serious love. It was very rough and one could almost make an argument to scrap it - but that would be a sin, in my opinion. This Dorsey can be saved! One of the obvious things that is going to be needed is a stem and crown - as there is nothing but a hole to show for the original stem and crown. Yikes - this dial is about as rough as they come. I've seen worse but I'm not optimistic that cleaning alone will be enough. This might have to be professionally refinished. The 770 movement runs - that's a good sign. 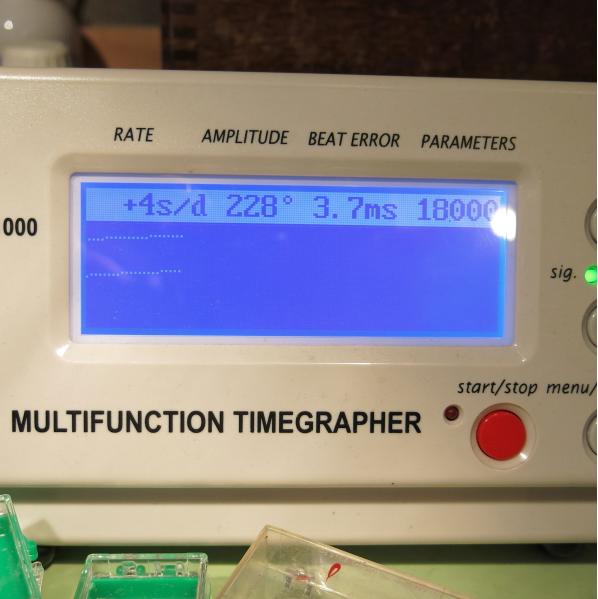 Of course, on my timer it has a beat rate of 21,600 beats per hour… that's 6 beats per second. Sounds great but this watch should only beat 5 times per second so that's running mighty fast. With the dial removed you can see that the set lever (on the right) is missing in action because the set lever screw has sheered off. The set lever is what holds the stem in the movement and you loosen the set lever screw to remove the stem. Based on the rust that is present, I suspect the set lever seized and a little too much force was applied to the crown. Off it came, stem and all. Everything gets taken apart, including the mainspring in the barrel. 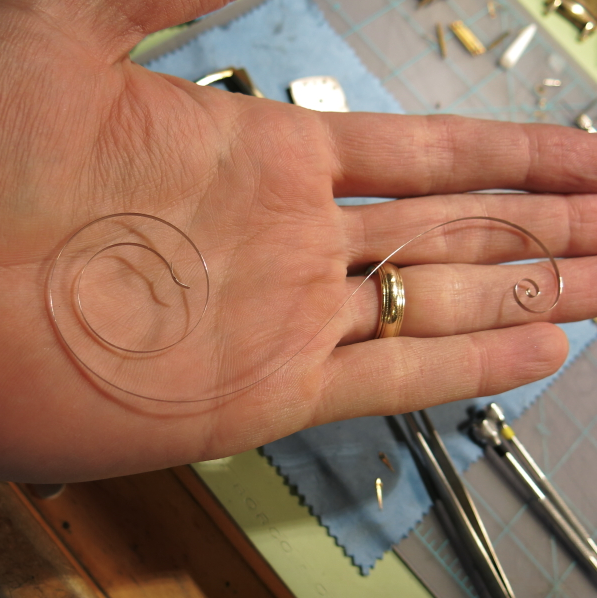 Based on the generous coil of the mainspring it can be reinstalled. To my delight, everything cleaned up nicely. Even the dial looks better. The movement is running well and back to 18000 beats per hour. 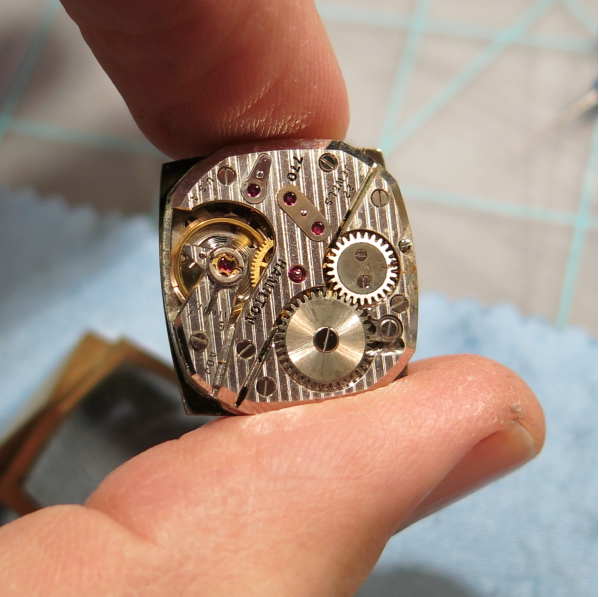 The beat error is a little high but not high enough that I'm willing to fuss with the collet on the hairspring. A purist probably would, but I've learned from experience not to press my luck. And here it is all cleaned up. 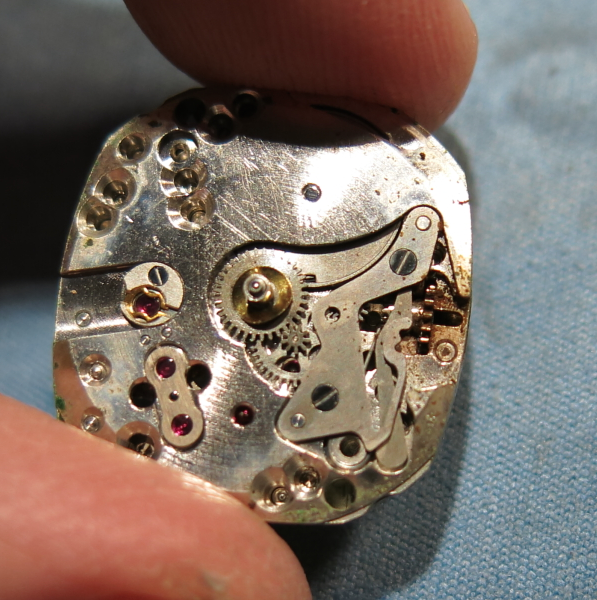 The dial still shows damage along the perimeter where the gunk ate through the finish and tarnished the silver. I'm really surprised I didn't lose the Hamilton logo and crosshairs in the cleaning process. Original dials are more robust to cleaning than refinished dials so this original dial held up well. A new crown and a genuine lizard strap complete the restoration. 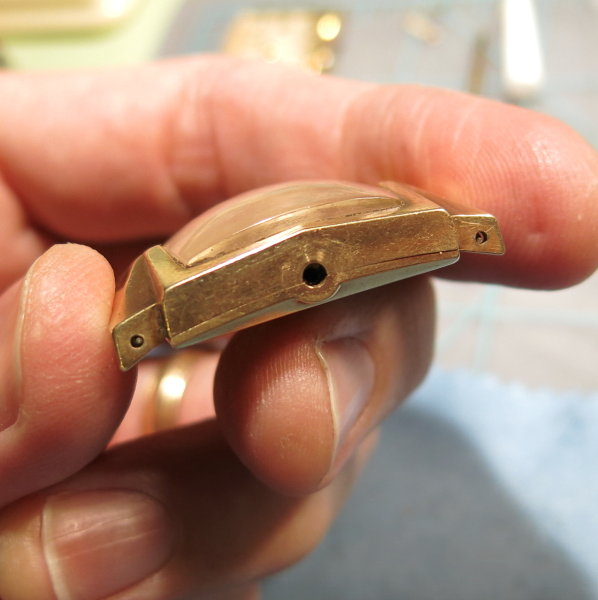 I think the watch will look much better with a fresh redial so we'll go the distance on this Dorsey restoration and get the dial redone by International Dial. I'm sure Rob and the gang at ID will do a bang-up job on this dial and then it will be good to go for another 50 years. I got the dial back from being refinished. I think it looks much better. They didn't have the exact pattern for the seconds crosshair but other than that it's a good looking redial. I also put a new glass crystal on the watch - so the gold fish bowl effect of the thick acrylic crystal is gone. Glad I found your blog as I have one of these old Dorseys that I inherited from a friend's estate but didn't know the model. The watch was given to Leo Rule (a SoCal Olds dealer back in the 50's) by his employees for Christmas of 1956. 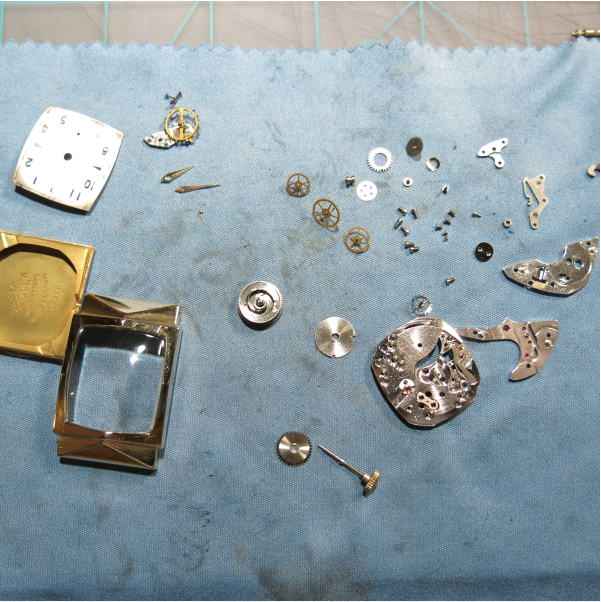 The dial was shot and sent out for a refinish by a local watchmaker. The Hamilton was neat but the refinisher used serifs on the letters. Otherwise it looks great and runs great. Looks like the ad shows a alligator band with a contrast stitch so I might upgrade the textured leather band I put on mine. I enjoy seeing your restorations. I think that's probably the one thing most redials goof up on, using the wrong font for the period of the dial. That can be an annoying detail that many people miss. Getting the seconds register wrong is another common mistake. C'est la vie. Well, at least the seconds register is correct. It's a lovely watch and seems to be quite accurate. I've also got an early 60's Omega Connie that had a horrendously bad dial refinish in terms of the lettering but the overall appearance is great (as long as you don't look at the lettering too closely). Fortunately, the Omega logo, name, and star marker were applied and not changed in the refinish.